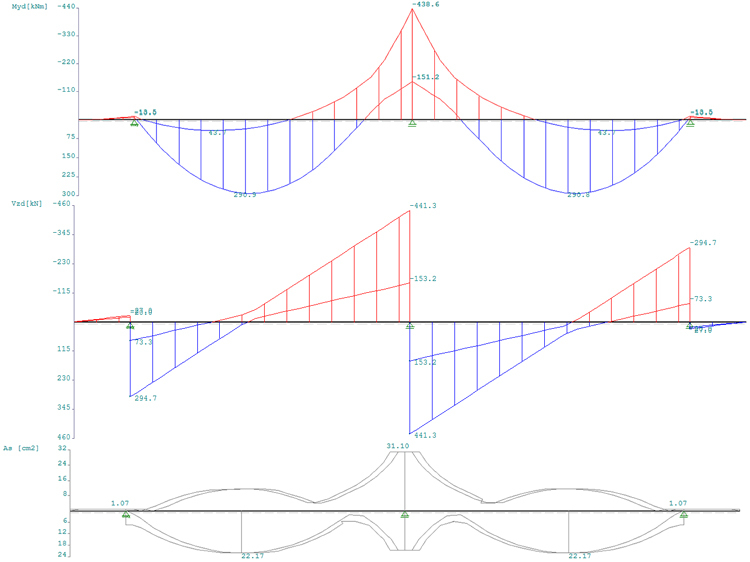 The application is intended for the calculation of single-span and continuous beams with 12 spans maximum. The application performs the design and/or stress analysis for the pre-selected cross section dimensions for the material types concrete, steel and timber. Automatic calculation of the effective slab width. Calculation of the deformations in state II for reinforced concrete cross sections according to EN 1992 / DIN 1045-1. Crack width evidence (limiting diameter) and stress analysis. Consideration of the durability requirements. Calculation and consideration of the creep coefficient and the shrinkage strain in serviceability analyses. Optimization of the dimensioning and design with steel girders and timber beams. The rigidity within the span can be constant or variable. You can optionally consider shear deformations with timber beams. Analysis of the shear joint for slabs and T-beams. 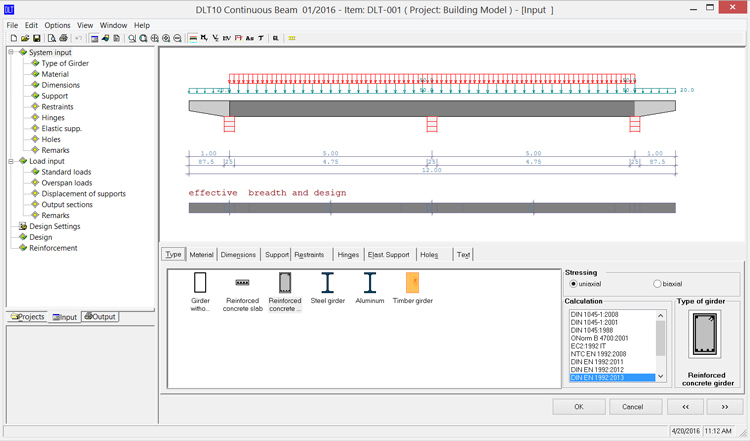 You can perform an analysis of the connection of the compression flange (shear analysis) for T-beams. You can import bearing loads (from DLT items) that you have calculated in other items (<F5> key). You can define round or rectangular block-outs for reinforced concrete beams, the calculation is performed in accordance with Booklet 399 DAfStb. The bearing reactions are put out for the simple and/or γ -fold loads depending on the application control and the task. In addition, the bearing reactions are put out according to groups of actions. Suspension reinforcement is not considered.